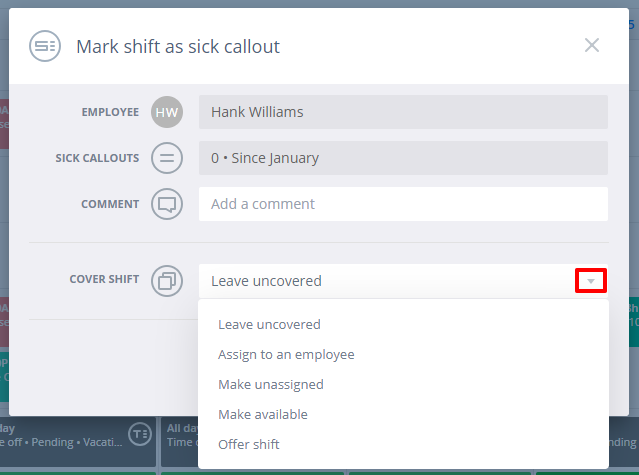 The Business version includes a way to mark shifts as sick call-outs so you can monitor employee attendance. 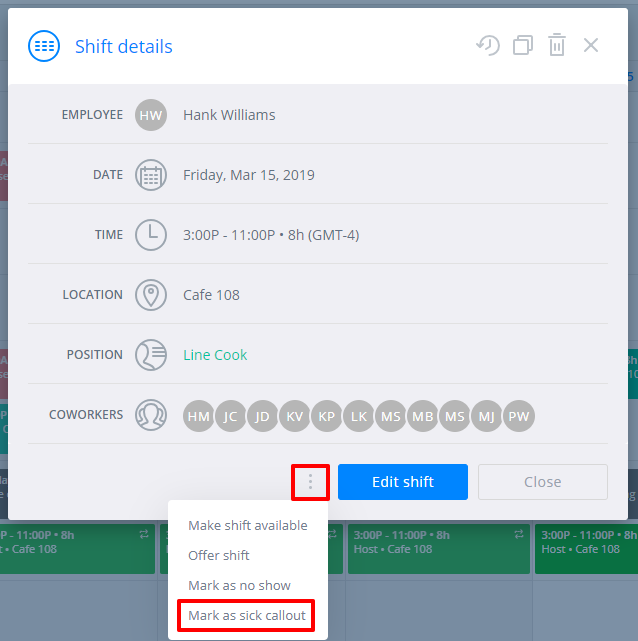 From the Schedule page, click the shift you want to mark, then click the options button (3 dots). 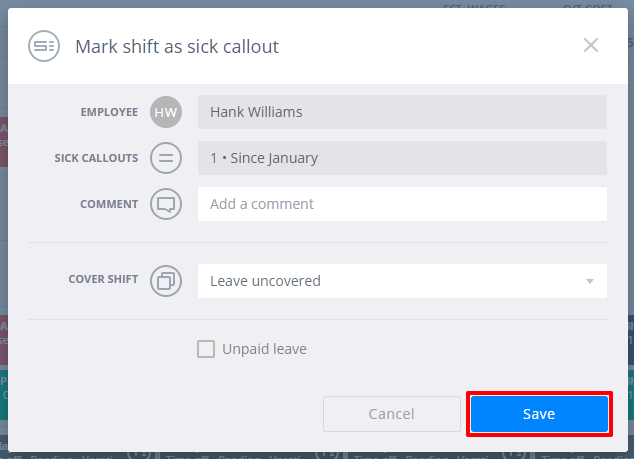 The next window will allow you to add a comment and choose what additional action to take with the shift. For example, if the shift is in the future, you can make it available so someone else can pick it up. You'll also see how many sick call-outs the employee has used since the start of the calendar year. 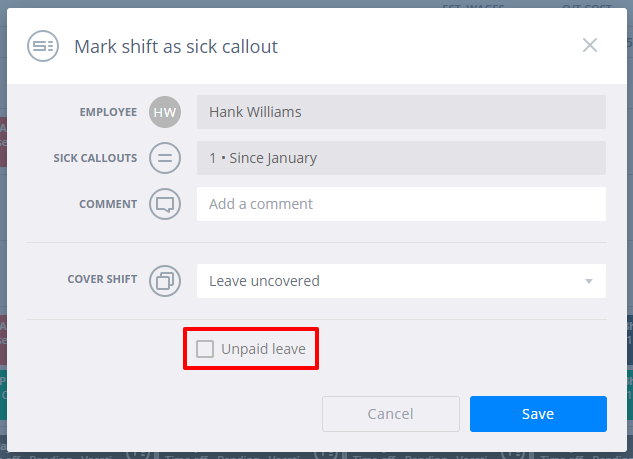 If you have enabled PTO tracking and the Sick category, the call-out will also be counted as paid, but you can choose to mark it as unpaid. Once you have all your details entered, click Save. The shift's appearance will change to reflect the call-out. The info will also be added to your Attendance report. And will also show in the Time Off report.